Watch out for the all-important pickups: there are double cannons, quad cannons, power cannons, anti-cannons, shields, mega bombs, smart bombs and bomb disarmers available as you advance deeper into the four alien worlds! The best way to succeed in this exciting game is to plan your strategy against each alien wave - it is usually appropriate to vary your strategy as you encounter each new formation of aliens. See our 'Galaforce Worlds Hints and Tips' webpage for more information, and visit our 'Hall of Fame' to see the latest all-time high scores. 24 different alien types plus 4 power-aliens. 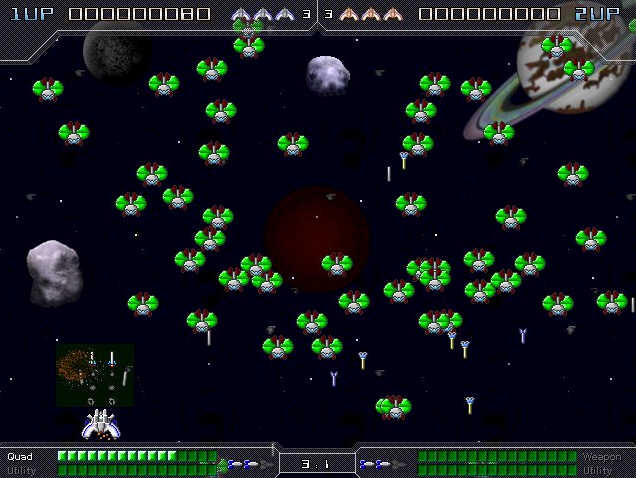 4 alien worlds comprising 66 increasingly difficult stages, including homing missiles and asteroids zones. Superb atmospheric music ¨C two talented composers have created some of the best space music we have ever heard! 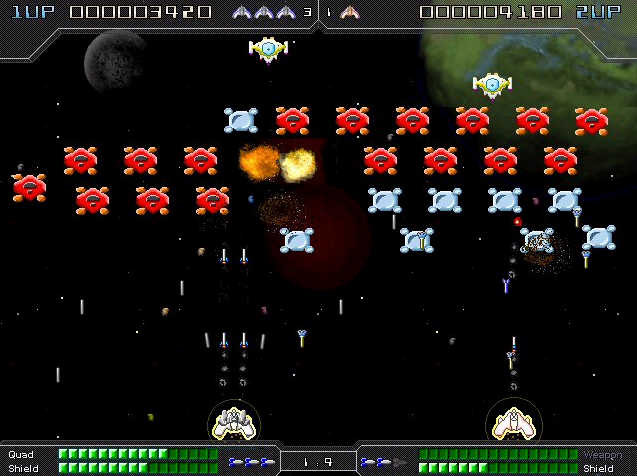 One-player mode and two-player team mode, where two players can simultaneously play the game, helping each other to defeat the alien hordes. A very sophisticated galaxy creator and editor which includes: a formation editor, a pattern builder and a galaxy builder. The design possibilities are endless.